By far, vinyl siding is the most popular choice for exterior cladding. As such, it is a versital product – available in many different colors, textures and styles. Furthermore, it is durable, maintenance free and cost effective – as compared to other traditional types of materials. 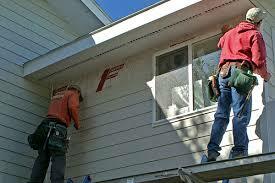 ABC Roofing & Siding are experts at installing vinyl siding. Typically, most jobs we perform are for a full siding replacement. This requires the removal of all existing siding. Then, we prepare the wall surfaces to receive the new materials. These include insulation board, house wrap and the siding. In addition, we install all of the necessary trim, accessories and caulking. We only install premium grade vinyl siding. The thickest and sturdiest versions of vinyl siding. Made by the best manufactures in the industry. 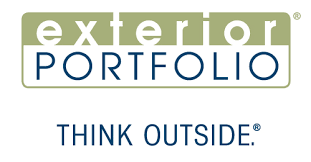 Exterior Portfolio offers a complete collection of cladding products. These will give the face of your home an image you will love. The unlimited design options of Exterior Portfolio premium siding have been used to create some of America’s most beautiful homes. Now, you can enjoy this same impact with the added value of long-lasting, maintenance-free performance. Exterior Portfolio is part of the Royal Building Products family – an industry leader. For generations, Mastic from Ply Gem has been the number #1 choice among homeowners, builders and remodelers. Solid and tough, Mastic premium siding stands up to extreme weather, requires little maintenance, and is an eco-friendly choice for your family. Best of all, you’re covered with an industry leading V.I.P. limited lifetime warranty backed by Ply Gem. They are the 75-year leader in pioneering performance home exteriors. Here is beautiful proof that you don’t have to surrender authentic cedar-grain presence for low maintenance and innovative thermal resistance technology. You can have all of it. CraneBoard® Solid Core Insulated Siding® bridges the gap between an exterior that projects “just good enough” and “flawless.” CraneBoard is part of the Royal Building Products family. ABC Roofing & Siding – at HomeAdvisor.